DMX has been ordered to serve a year in prison for tax fraud. During a court proceeding on Wednesday, Federal Judge Jed Rakoff granted the 47-year-old rapper’s request to play his 1998 hit “Slippin’” before the judge made the decision to sentence the star, who previously pled guilty to one count of tax evasion, to 12 months behind bars, according to the Associated Press. DMX, born Earl Simmons, “sobbed” as his lawyer, Murray Richman, recalled his client’s “nightmarish” childhood while the music was playing. In addition, DMX nodded his head slightly to the beat of his own song. The star’s sentence also includes three years of supervised release and he must pay back $2,292,200 as reported by The Blast. Richman did not immediately return PEOPLE’s request for comment. In July 2017, DMX faced a 14-count indictment for allegedly evading $1.7 million in tax liabilities by hiding his income. If the father of 15 was found guilty on all counts, he could have faced up to 44 years in prison. Prosecutors accused DMX of a “multi-year scheme to conceal millions of dollars of income from the IRS,” the attorneys said in a statement at the time. “DMX made millions from his chart-topping songs, concert performances and television shows. But while raking in millions from his songs, including his 2003 hit ‘X Gon’ Give it to Ya,’ DMX didn’t give any of it to the IRS. 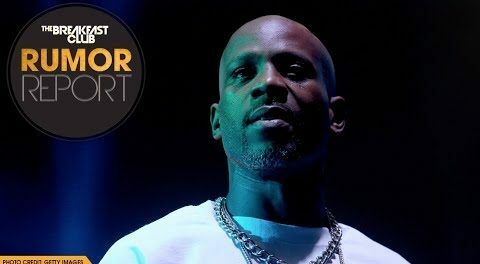 Far from it, DMX allegedly went out of his way to evade taxes, including by avoiding personal bank accounts, setting up accounts in other’s names and paying personal expenses largely in cash,” the statement said.